Across Unknown Labrador (Part II of III (others not available)). The Wide World Magazine June 1911, Vol. xxvii.—22. Labrador—“the land that God gave to Cain”— contains an area forty or fifty thousand miles square that is utterly unexplored; even the heads of the inlets and bays are uncharted. 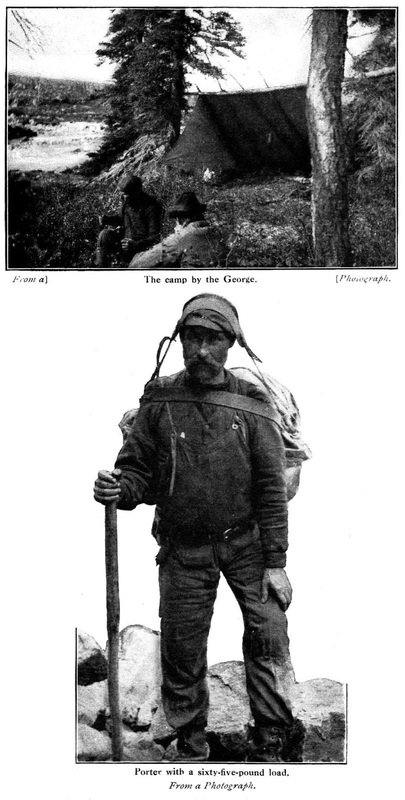 Mr. Hesketh Prichard essayed to do what no white man had ever done before—to cross this desolate wilderness from the Atlantic to the George River. Those familiar with the conditions said that the feat was impossible; that he and his companions would share the fate of Mr. Leonidas Hubbard, the American explorer, and perish miserably of starvation amid the interminable “barrens” of the interior. But Mr. Prichard persisted, and in the series of articles which we are privileged to publish he gives a graphic account of the experiences of his party, whose sufferings and adventures constitute a unique chapter in the annals of exploration. At the end of my last article I left our party in camp near the George or Barren-ground River, all of us well pleased that we had at length achieved success. I will begin this paper with some account of the remarkable valley in which we found ourselves. The hollow of the valley is filled with that great widening of the George that is called Indian House Lake, and which is a mile in width and about twenty in length. On either side of its waters rise high rolling ridges, dotted with spruce, willow, and juniper, which grow freely among immense boulders and masses of rock. The whole of the land surface is seamed with the old trails of caribou that have pursued their age-long wanderings in this desolate environment. Tradition gives this place as the spot where, in 1894, an Indian killed the last recorded specimen of the red or Barren-ground bear. The whole country is covered with the bones of long-dead deer; another noticeable fact was that rarely could one look round the sky without seeing flocks of ravens in the air. The croak of the raven, the cry of the loon, and the howl of the wolf are certainly the three characteristic sounds of this wilderness. 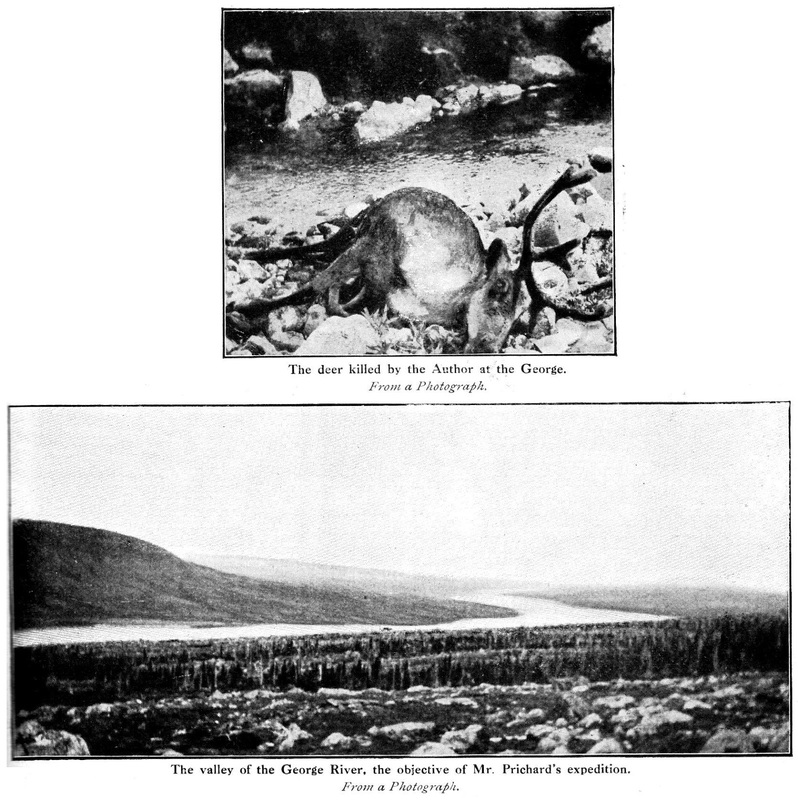 Concerning wolves, I was much interested in trying to discover whether these animals (which, though seldom seen by daylight, are very numerous in Labrador) chase or attack the lonely traveller or hunter, a pastime that, according to report and the illustrated papers, their cousins of Europe undoubtedly indulge in. Who cannot recall a picture of a flying droshky and its bearded driver, with the pas­senger shooting a revolver over the crook of his arm at the pursuing wolf-pack? But on the Labrador—near the settlements, at any rate—the wolf bears a fairly good character in this respect. The only instance that I know of when wolves attacked a man I have on the authority of Bishop Martin, of Nain. A settler had killed some seals on the edge of the ice and returned to his home. Later on he went back to bring in the carcasses, taking with him only a spade, as the place was not far from the station. While he was engaged in shovelling off the snow which had collected on the bodies of the seals, four wolves came down upon him and seemed threatening. He was rather helpless, having no gun with him, but he defended himself by cutting at the neck of one of the animals with his spade. Then, keeping his face towards them, he held them off with the spade as he retreated in the direction of the shore and the settlement. The fact that they meant an attack seems to be proved by their following him for some distance, but he escaped. Now, in the autumn, though we often saw the tracks of wolves, only on a single occasion had I a glimpse of one in the flesh, for they seem to spend the hours of daylight in the shelter of some rock or bush. More than ever as I sat beside the camp-fire on the day after our long-desired arrival at the George River did I regret the unfortunate accident to my ankle. The muscles near the tendon had been badly strained, and I found myself quite unable to do more than hobble about. Any attempt to travel over the rocky ranges and through the treacherous valleys choked with boulders and moss appeared to be hopelessly out of the question. Complete rest was my only possible chance. Yet, although this presented a very pleasant prospect to my weary limbs as well as to my ankle, the out­look was not so bright as it might have been owing to the fact that we were in the centre of a very sterile country, with but four days’ provisions on short rations remaining to us. had started away into the vast medley of trees, boulders, and marshes that hemmed us in on the north. In order to try and do something towards the general support, I picked up the rod and began to fish the torrent which roared within twenty yards of the camp. On the previous night Hardy and I had taken six trout from this quick water, but when he sallied out among the mosquitoes at dawn he had failed to get a single rise. I, however, was luckier, as after a few minutes’ fishing I saw a good-sized trout rise, and before the mosquitoes drove me to bury my face in a “smudge” (the smoke of a fire of damp moss and leaves) I had caught him and three of his fellows. After this, though I tried both fly and spinning bait, I could catch no more. Just as I had returned from fishing I heard the report of a rifle, and an hour later Hardy came into camp with the greater part of the meat of a very small caribou. Soon—very soon—the kidneys, heart, and liver were sizzling in the frying-pan, with three thin concomitant slices of our now most precious bacon. As we had been a month on rations, and the latter part of it on very short commons —having, indeed, had but one full meal since leaving Sandy Camp, and that on the occasion when I had killed the deer—we did full justice to the meat, and the pan was filled and emptied more than once before pipes were pulled out, filled, and lighted. Then we held a council. It was finally decided that Robert Porter should go back over the trail to bring up a relay of provisions while Hardy and I remained in the camp, where we were to dry the meat of the caribou. But though we tried to carry out this programme we were not very successful as regards one portion of it, as before Porter could start he must rest, and by the third day very little was left of Hardy’s deer, which, as I have said, was a small one. 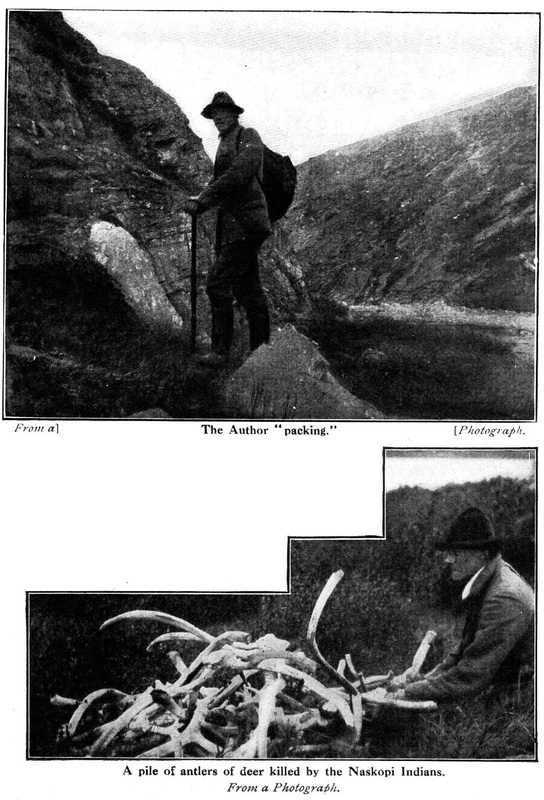 We were, more­over, helped in dis­posing of the meat by foxes and ravens, which found and took toll of the carcass on the night after it was killed and before Hardy could reach it the next morning with his packing-strap. The small amount that remained over we dried in a rough and ready fashion upon the flat rocks by the river, but if we left the meat for a single instant or ceased waving branches of leafy birch above it, every piece became black with botflies, blackflies, and mosquitoes. While engaged in this pleasant occupation we, for the first time, really understood how and why it is not good for man to live alone—especially in the Arctic and sub-Arctic. In civilization it is said that a wife does not always add to her husband’s ease or render his life more supportable, but up on the Barren-grounds the worst of wives would be better than none. 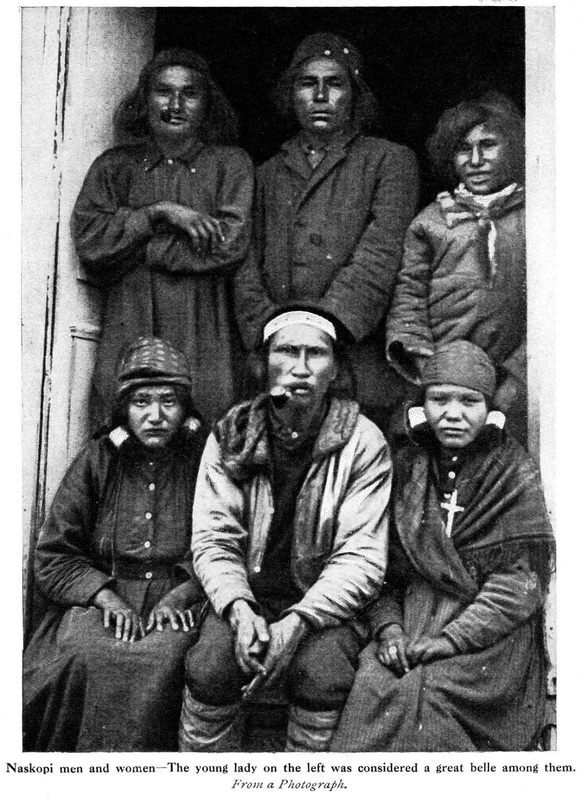 There, among the heathen tribes, if a man’s wife dies—provided he be not a polygamist, in which case there is less need for hurry he often marries again within the week, and even the Christian Eskimo widowers are with difficulty persuaded by the Moravian missionaries to allow six weeks to elapse between the death and remarriage. Certain it is that on the very day after the six weeks have elapsed the hunter presents himself with a new bride, and asks that the marriage service may be speedily read. Nor is the reason for these things far to seek. We say in civilization that “a woman’s work is never done,” and far more is that true of the helpmate of the savage and the semi-savage, the woman of the Barren - grounds or of the ice-edge. She makes and breaks camp, cooks, cuts up and carries to camp her husband’s kill; she dresses the skins of deer and seal (a laborious pro­cess, as the skin often has to be chewed to make it soft for sewing); she is responsible for the fashioning of foot-gear and clothes; on a journey she often paddles the canoe, and on portage she carries a heavy load. In fact, it is easier to write down the duties not expected of a squaw than those which by immemorial custom she must perform. Indeed, the Northland is a country calling aloud for a woman’s movement, a crusade of emancipation; but such will never come, even in a thousand years, for in the wilderness the provider of food, Man the Hunter, has reigned, reigns now, and ever will reign. Having slain his deer or his bear, he will take his ease in the best place in the lodge, deputing all the lesser offices to the mother of his children. It is a law, and the laws of the Northland do not change. But to return to the process of meat-drying, which led to this digression. We dried some pounds, and would have dried more had it not been that some animal, probably a fox, raided our meat supply during the night. We imagined that we had placed it in safety by sinking it in the water of the torrent, but when we awoke on the morning of the 21st a great part of it was gone, and, as we had practically no flour or other provision left, the loss was a serious one. A great piece of good fortune, however, followed close upon it, for as, on the same evening, I was sitting talking to Hardy by the fire as the sun was beginning to sink, a caribou suddenly appeared on the other side of the torrent. Seizing my rifle, I had time to get in a shot just before the deer crossed our wind. The deer collapsed in its tracks. It turned out to be a doe, with horns of thirteen points, and soon we had her carcass cleaned and sunk in a deep pool far beyond the reach of even the most cunning of foxes. The next morning Porter got away early, and Hardy and I were left to draw our belts tight, for we decided that it would be only common prudence to keep the meat of the last deer as a precaution against unforeseen eventualities. In the wilderness only a very thin partition exists between safety and danger, between life and death, and it has been in consequence of ignoring this fact until it was too late that many have perished. During Porter’s absence, Hardy and I spent most of our time in fishing and hunting. There were very few trout in Slippery Brook, and without a canoe it was difficult to fish Indian House Lake; but Hardy succeeded in taking two fine namaycush. These, rather to our surprise, rose in the fast water of the torrent. Day by day the swelling of my ankle was subsiding; the weather was good and everything favourable, though the lack of all farinaceous food affected us considerably at first. At length Porter returned, bringing with him a pack of a few pounds of flour and bacon. He had gone and come at the rate of twenty-five miles a day—a fine performance over such a country. We were at this time very thin, and more than a little run-down, so I decided that we had better indulge in a couple of days of full rations, even though that might mean real hunger later. I have always been strongly of the opinion that men working hard for a long period can overdo the ration-cutting busi­ness, and that the party who start strong and live upon what the Red Gods send can win out better than the party who never have a full meal, but eke out a small supply of provisions over endless days. But the party that eats its food must be composed of men used to every aspect of the wilderness life, and must be certain of a minimum game supply. It is a very good rule—I know of none better to estimate the amount of fish and game one expects to secure and then divide the expectation by four. If the answer to that sum is enough to take the party to safety, well and good; if not, it is common sense to be very careful of the food in hand. Hardly had Porter arrived—certainly he had not been in camp above two hours—when a most tremendous storm began to blow from the south-east. It clean blew away our fire, though protected by a break-wind of boulders, and as it brought one or two trees near by crashing to the ground, we thought it wiser to cut down those which overhung the camp. Had this gale—one might almost call it a tornado—caught Porter upon the bare and shelterless plateau he would have had a miserable, if memorable, experience. All night long the wind howled and roared, banishing sleep, then shortly before dawn it shifted and partially carried away our lean-to. We rose and changed the position of our camp until it was once more back to wind—a cold, bleak business. On August 29th we broke the camp by Slippery Brook, which we had occupied since the 18th, and set out for the southern end of Indian House Lake. My ankle, though stiff and apt to swell after a long day, did not retard our speed very much. All the morning we travelled over the ridges, and it was late in the afternoon before we reached the level of the lake at a point about a dozen miles south of our camp. Here we found each promontory set with the remains of the deserted Indian camps from which this reach of the river takes its name, for it is here that the tribe of Naskopi Indians make their annual killing of the deer, which in their migration cross the narrows of the lake in immense herds. Their course is not always the. same—if it were the problem of existence would be easily solved by the Indian—for in some seasons the migration passes elsewhere, along some other and perhaps distant route. As it grew dark we came to an Indian camp which had only recently been deserted. All about it were scattered the bones and hair of deer, which, from appearances, seemed to have been killed a month or so previously. The Indians had departed, it being the season when they make their summer journey to the coast. The Naskopis are one of the wildest tribes still left in North America. Their visits to the Hudson Bay posts, or to the mission settlements are few and far between. After a successful year’s spearing of the caribou, as the beautiful deer cross the lakes and rivers, they carry down over the long journey to the eastern coast enough skins to barter for the necessities and few luxuries which they appreciate. Powder and bullets, tea and tobacco, finery for their women, and a few gaudy articles of clothing, are nearly all that the posts supply to these children of the wilderness, who care little for the white man’s easements of existence. In the Naskopi camps upon the George, however, there is one belle, and at the stores whatever she desires seems to be purchased for her. I give her photograph on the next page, and, lest the reader should miss her, she is the first on the left. 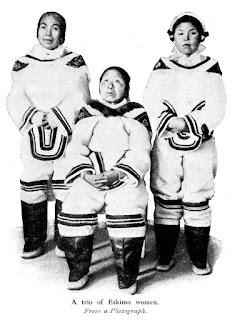 To the Indians, both the Montagnais of the more wooded south and the Naskopis of the Barren-ground water, the caribou are the staff of life. By them they live; the meat feeds them; their lodges are covered with the skins; the clothes which protect them against the northern winter are fashioned from the pelts, the hair inside, against the wearer’s skin. Their moc­casins are sewn from the hides, and the very sparse store of civilized luxury which finds its way to the tents upon the promontories is largely gained by barter of smoked hides. About the season when the caribou may be expected in their thousands-strong migration all is activity in the Indian camps. Up and down the river the scouts are watching, and when the first caribou makes its appearance he who sees it signals to his fellows—the first deer must not be turned. But, once a fair proportion have crossed the river, the Indians in their canoes slay as many as a thousand deer. There is no sport in it—merely a massacre of helpless, swimming creatures, and a lengthy description of the proceedings would serve no purpose. But for many a day after the battue the Indian warriors sit by their fires and enjoy the greatest of all the luxuries the wilderness provides—the marrow of the deer. Countless numbers of caribou have been slain by Indian House Lake; so many, indeed, that the place has become historic. 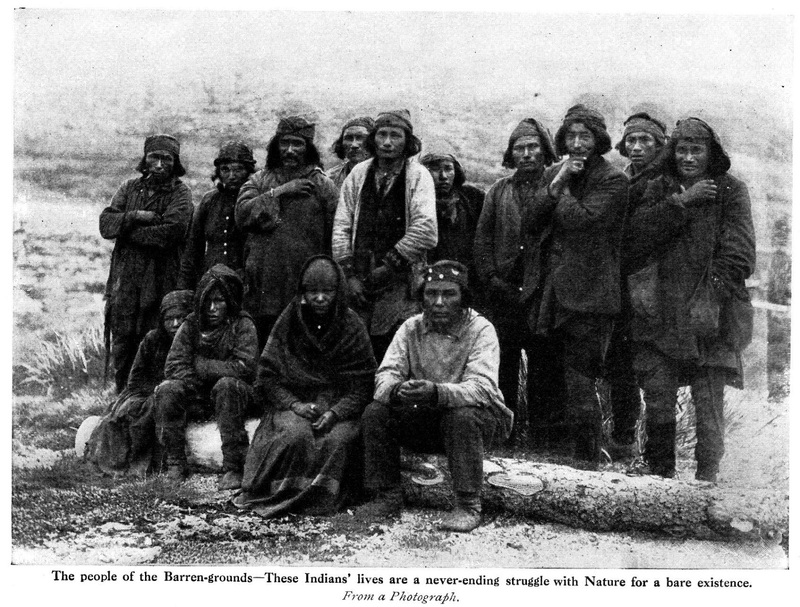 This raiding of the herds, with trapping, ptarmigan shooting, and rabbit snaring, makes up the Indians’ hunting in a successful season. It would seem, according to the best authorities, that the Naskopis came from the far south, being driven north by the Iroquois at the date when Canada was first occupied by the French. They fled through the wooded south of Labrador, still pursued by their remorseless enemies, who were probably only shaken off when they had pushed the flying tribe north to those naked table-lands which form the roof of Labrador. These are indented with innumerable lakes and dotted with gigantic Laurentian boulders, enormous tracts being entirely timberless and exposed to the cruel forces of the Arctic. After many wanderings, these poor hunted creatures must have found in the valley of the Barren-ground River a true Land of Promise. Here all was changed indeed. Spruce, alder, tamarack, and birch grew in the sheltered spots and woods and marshes alike were lined and crossed with the high roads of travelling bear And caribou ; the tangled brush hid coveys of willow-grouse, while the very rocks yielded the crouching ptarmigan. All these they found, not to speak of other game—foxes, wolves, hares, Canada geese, black ducks, and many more, it can well be imagined that when the Naskopis first entered this region they believed that the faces of their gods were indeed turned towards them. Game on the hills, fish in the river, wood for their fires, tepee poles to be had for the cutting. 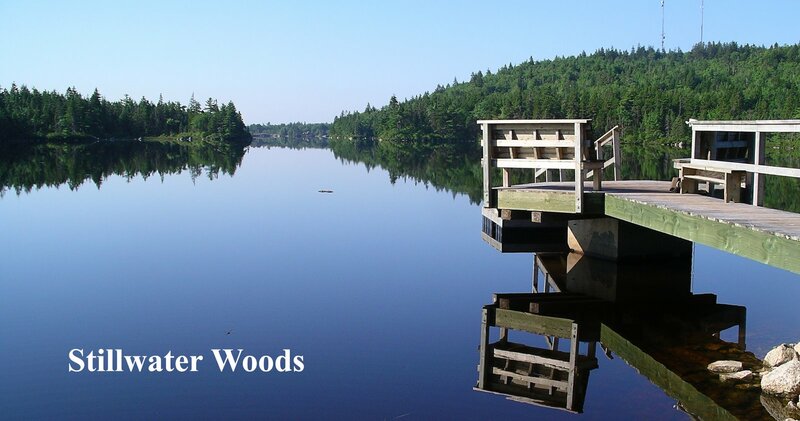 One can almost see them seeking out a stra­tegic camping ground on a promontory running far out into the lake and there setting up their wigwams and resting from their wanderings. Neither history nor legend tells us at what time of year those long-dead Naskopis found Indian House Lake, but almost certainly it was in spring or summer while the waterways were open. In those days the country was virgin and the deer plentiful. 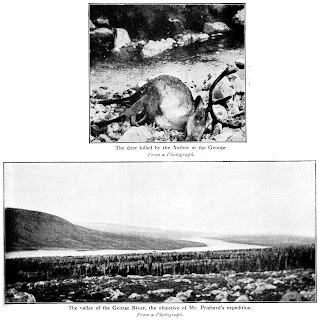 Even within late years it is on record that the caribou in migration passed a point near Fort Chin(m)o in solid masses of “thousands and thousands ” for a period of three days. During many years the Indians must have fared well, for Indian House Lake possesses the favourite crossing-place in all Labrador for the migrating caribou. Thus they learned to live by the deer, and so, while the deer were plentiful, all went well on the banks of the George. After 1828, when M‘Lean visited them, a veil dropped over their life by the lake for more than seventy years. No one, save one Roman Catholic priest, saw them in their home camps; the tribe lived secure behind their impenetrable ramparts. No doubt they gorged and starved alternately. At any rate, they survived in numbers not too much lessened, and so they continued to exist until the dreadful winter of 1893, when deer and game failed, and half the tribes are said “to have been found dead in their lodges by the spring.” But still some are left to carry on the age-long war with Nature, which they are still prosecuting as you read this page—a hunter-people dependent upon game for life, the only permanent inhabitants of the interior of Labrador. It was with great interest that we examined the deserted camp and the various devices for dressing skins, and while Hardy and I were doing this Porter went on over a hill to prospect. As he crossed the brow of the ridge an eagle rose suddenly, and, going to the place, he found that it had killed and partly eaten a young black fox. The month being August, of course the skin was worthless, but had it been December the skin of this fox, small as it was, would have been worth some hundreds of dollars. Poor Porter! When Porter returned it was growing late, and we went up from the deserted Indian camp into the twilight of the woods, where, as it was bitterly cold, we made a large camp-fire, by the light of which we set up our slender camp. Later we took stock of our provisions, and it was almost a shock to discover how little our ravening hunger had left to us. There was a single full meal of caribou venison, with two or three small pieces which we meant to keep over. Besides this we possessed three pounds of flour, three soup-squares, about half a pound of mildewed tea, and three-quarters of a pound of bacon. This shortage did not prevent our enjoying a fair meal of meat and flour, as that night was the last we should spend in the timber, for owing to the provisions being at so low an ebb we had determined to set out in the morning upon the march back to the coast. Therefore the next night would find us once more upon the bare plateau, where we could hope for no fuel more adequate than the leaves and stems of the dwarf birch. So the motto was carpe diem, which we fully carried out, and afterwards sat long by the camp-fire smoking and discussing the journey that lay before us. Before very long, however, the talk, as usual, veered round to the all-important topic of food. How well one knows those conversations of hungry men! Lead the talk where you will, back it turns like a magnet to the Pole to the various dishes one would order were one in such-and-such a restaurant. Nearly all one’s desires are towards plenty of fat, plenty of sweet, and plenty of rather heavy, solid bread; true hunger abhors kickshaws and seasonings. Fat mutton, strawberry jam, bread, and baked potatoes, that is the meal which tempts me in dreams when I am really hungry! From time to time I have known real hunger in many different lands, and, as a matter of personal experience, I have found that hunger reaches its height before one begins to starve. Starvation, indeed, like other disagreeable things, is painful, and it is impossible to feel as hungry when one is suffering spasms of pain and emptiness as in the earlier stages, when the only feeling is the intense craving for food. On this night, however, after the first comfort of our dinner had passed off, we were just in the mood to discuss what we would eat an we had it. It was late when at last we rolled ourselves in our blankets and turned in for the last sleep before we set our faces towards the east and home.